I, the Brit in Beirut, normally inject a little humor into my posts, however there are some issues that are just too grim to laugh about. So, yesterday saw protesters tear gassed, corralled and generally treated like the piles of rubbish we’ve recently seen piled so high on Beiruti streets. For those that don’t know, there’s been an ongoing crisis in Lebanon surrounding the collection of rubbish from the country’s streets. The story is one of gross incompetence and a general lack of forethought, the sort of story that plays often in Lebanon. Other people have covered it in length and I won’t go into it here. Crowds moving through Beirut’s Downtown prior to the explosion of violence. The problem goes deeper than rubbish. The Lebanese government and MP’s have extended their own mandate repeatedly in recent years, meaning that they’re effectively demagogues, unanswerable to the people. This political quagmire has resulted due to the politician’s inability to form a functioning government due, largely, to political sectarianism and unbridled personal ambition. 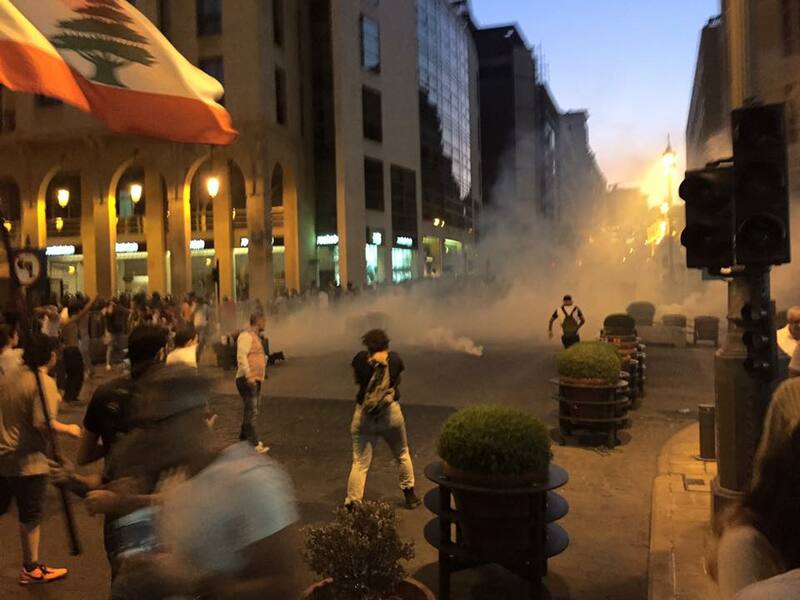 Lebanese police, many in full riot gear, deployed tear gas against a largely peaceful protest. This illegitimate political class, for they are illegitimate if they haven’t actually been voted into office for years, stand above their people. They are no public servants, rather uninterested bystanders to the Lebanese condition. These are the people who repeatedly fail to address the electricity shortages that plague the country. These are the people who support the repression of equal rights. These are the people who thrive on division and turn Lebanese against Lebanese. These are the people who can’t organize a simple rubbish collection system. These are the people … oh, forget it, the list is too long and my pen hand too sore. The vast majority of Lebanese are, largely, apathetic. Life is too hard to bother with protest. Protest will change little. The political class relies on this. If Marx said that religion is the opiate of the masses, in Lebanon we might replace religion with the soul-crushing belief that political ‘representatives’ are in fact untouchable, corrupt, and perhaps most disturbingly, uninterested. The police fired baton rounds (rubber bullets) at protesters in defense of Beirut’s governmental buildings. 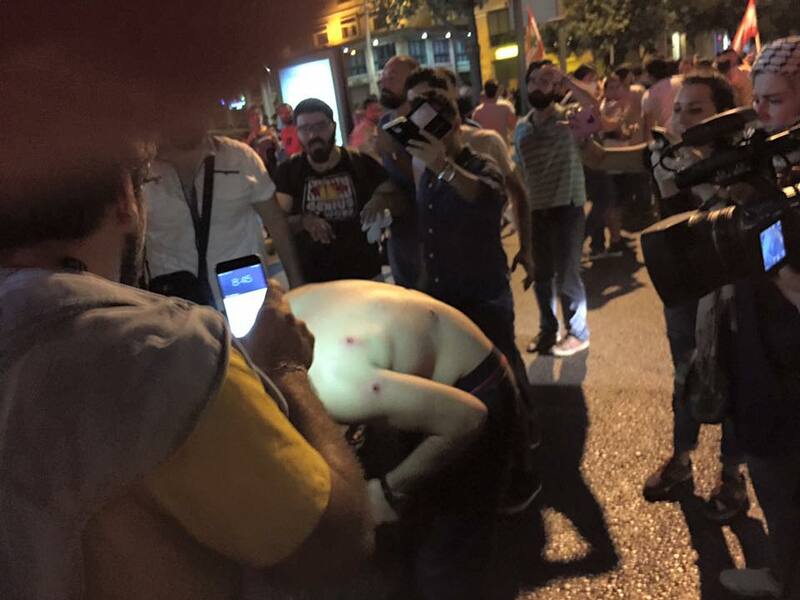 The treatment of the protesters in and around the iconic Martyr’s Square in Beirut was disgusting. The Minister of the Interior was reportedly ‘on holiday’ and ‘discovered’ what was happening hours after the first shots and canisters were fired. 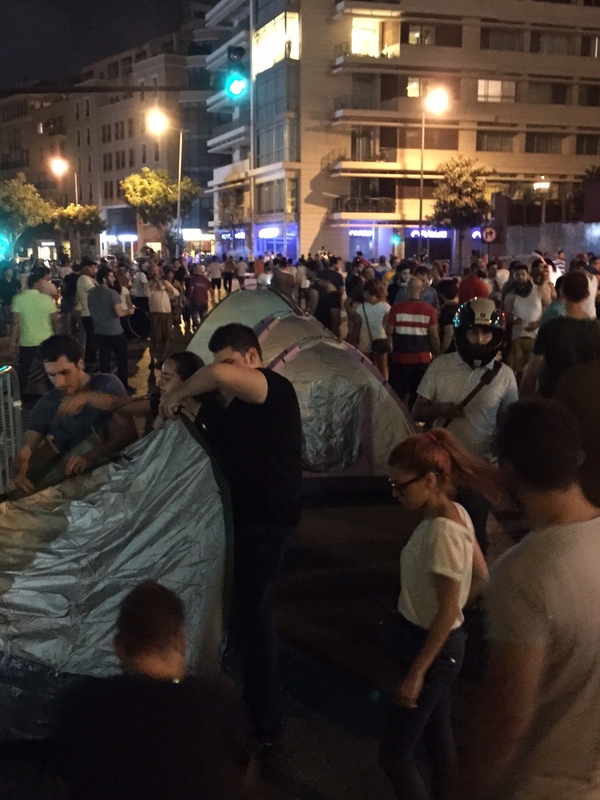 A reported 15,000 people were on the streets of Beirut’s downtown area, an area devoid of life and home to the parliament currently occupied by illegitimate ‘public servants’. Now more so than ever the revolution is being televised. There can be no hiding, no claims that these protestors represent a minority. I merely hope that follow up demonstrations occur and continue to occur. 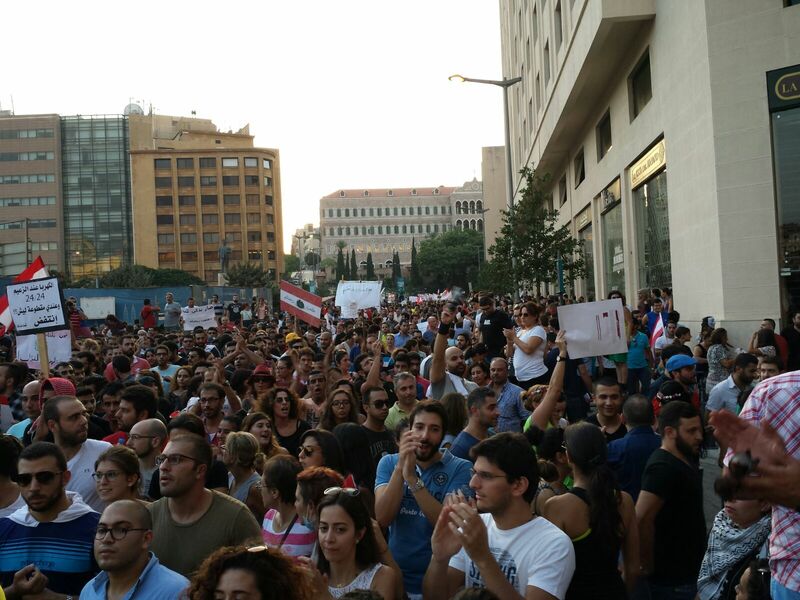 The political sit-in is something of a Lebanese tradition these days. TheBritinBeirut wasn’t present. As a foreigner whose work permit has taken approximately a year, much bribery and the deployment of wasta on a thermonuclear level, I cannot risk any confrontation with the police. I regret it deeply, and am proud of my friends and girlfriend who were gassed. I’ll be holding the milk next time around. I shall leave you with this guide, from the wonderfully-titled Facingteargas.org and a free PDF from the V&A (?!) that’ll tell you how to make a makeshift gas mask.